Its going to be a blast! 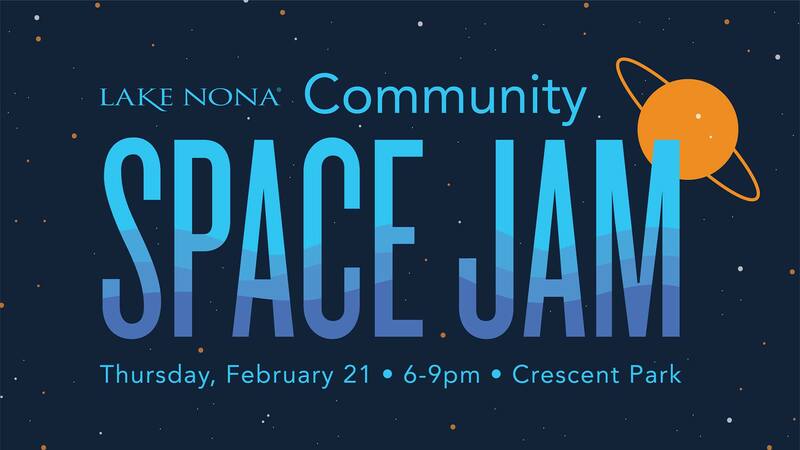 Join Lake Nona for an evening that is sure to be out of this world! Whether you are an astronaut in training or a stargazing enthusiast, the Lake Nona Space Jam will be an educational experience for all. From 6pm-7pm, enjoy a presentation from Dr. Smith Johnston, NASA Medical Director & Flight Surgeon and Michael Lopez-Alegria, Former NASA Astronaut with over 67 hours in space walks. Learn everything you need to know about living in space to astronaut training. From 7pm-9pm enjoy more activities, music and stargazing with a real telescope!